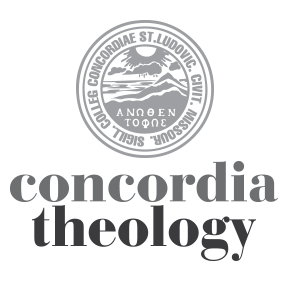 I don’t follow many blogs, and the ones I do read rarely intersect with stuff we write about here at ConcordiaTheology.org. (For instance, there is hardly ever much theological grist in the day-by-day history of the Civil War!) That’s why I haven’t written anything here about Gene Logsdon, the eloquently cantankerous farmer/writer/philosopher from Ohio, and his pithy insights as The Contrary Farmer. I frequently love what Gene says, and he often makes me laugh, but it’s usually not of theological interest. But now Gene has a new book, with the intriguing title Pope Mary and The Church of Almighty Good Food. (His previous book had an intriguing title, too, but that’s another post for another blog!) This time he’s getting perilously close to theology! Not having read the book yet, I rely on Gene’s own summary of the plot. But even that gives me at least two things to remark on. First, the premise of the story is rooted in the familiar soil of church life, specifically the tension between the local and the denominational. This is the (necessary?) dichotomy between the church as an indigenous “organic” part of the life of a particular community on the one hand, and the trans-local, trans-cultural “catholocity” of the church on the other hand. (It also sounds like Gene’s story pits the small and “human” versus the large, corporate, and efficient, which is also a conversation worth having.) This aspect of the book reminded me of the saga of one of the local Roman Catholic parishes here in St. Louis: Saint Stanislaus Kostka. In the case of St. Stan’s, the people of the parish kept their church, but at a cost: they are no longer in communion with the local bishop or the bishop of Rome (i.e., they are no longer “Catholic” in that sense). The church in Logsdon’s novel faces a similar choice. Maybe every local church faces a choice like this, or at least has to navigate the ambiguities of local loyalty and catholic identity. The second thing I find fascinating about Gene Logsdon’s book (and another reason I’ll buy it and read it) is the weird way the story meanders into reflections about land, agriculture, and food. (I’ve also been reading a lot of Wendell Berry and Michael Pollan lately.) In the story, the church becomes separated from the bishop but is filled with food for the people of the community. Read this any way you want: Logsdon suggests that it’s a kind of metaphor for the sacramental food of Holy Communion. Perhaps a more theologically nuanced way of saying it would be that he taps into the physical, earthy, flesh-and-blood ways in which God’s grace is delivered to us; there is a First Article (“creaturely”) connection even to Second Article gospel and Third Article means of grace. There is obviously a lot more to say about the sacrament than that it is food. And the Lord’s Supper does not make every common meal “sacramental” in the full theological sense of the word. But Logsdon is not trying to drag the sacrament down to the level of a common snack; he is trying to remind us that food, and eating, and sharing a meal are all wondrous gifts of the Creator. As he says, “Food is supposed to be sacred, not fast.” That seems to be a healthy reminder in this season of fasting.